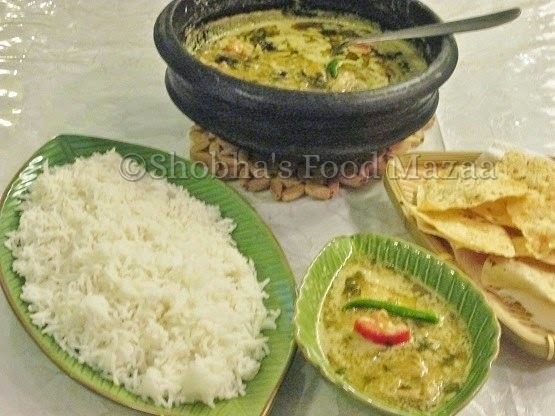 This is a very simple fish curry / stew from Kerala, cooked with coconut milk. It is very mild in spices and can be served with plain rice or appams. 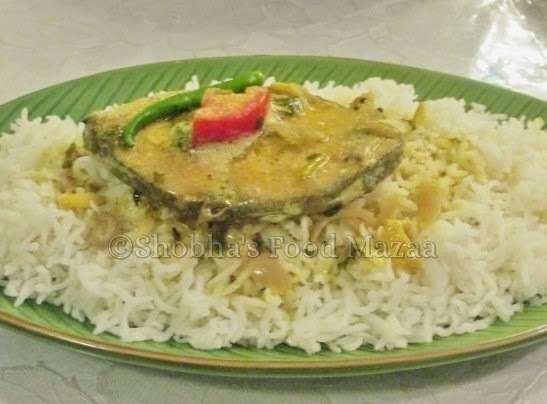 You can use any fish which has less bones and firm in texture, ideally pomfret or king fish. 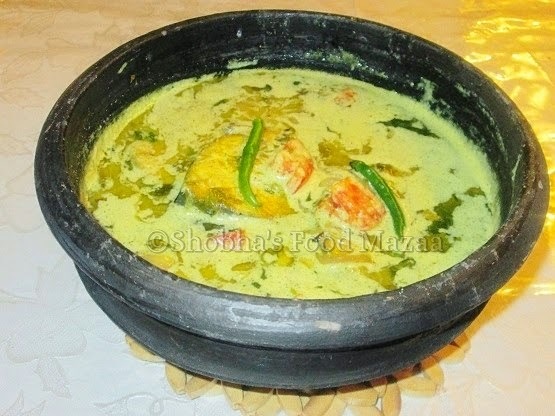 In Kerala usually the stews are cooked in a "Chatti " - an earthen pot. It brings out the rustic taste in the dishes and they also use coconut oil for cooking. Tomato ... 1 cut into cubes. 1. Marinate the fish slices and set aside for 1 hour. Fry them until half done. 2. Take the same oil which you used for frying the fish in a pan or chatti ( earthen pot ) Add the mustard seeds and when they crackle, tip in the garlic, ginger and saute. 3. Now add the onion and green chillies and stir fry for a minute until the onion is pink in colour. 4. Add the thin coconut milk, salt, turmeric powder, kokams and the fish slices. 5. Simmer to cook and half way through add the tomato cubes and coriander leaves. 6. Now add the thick milk and cook on low flame for half a minute. Note: If you don't have kokams you may use lemon juice. Do not over cook after adding the thick milk as it will curdle. Best way is to prepare the curry with thin milk and just before serving add the thick milk and simmer. OMG.. that is a mouth watering curry. My favourite. Wonderful presentation also. Wow drool worthy fish molee..Looks super delicious.